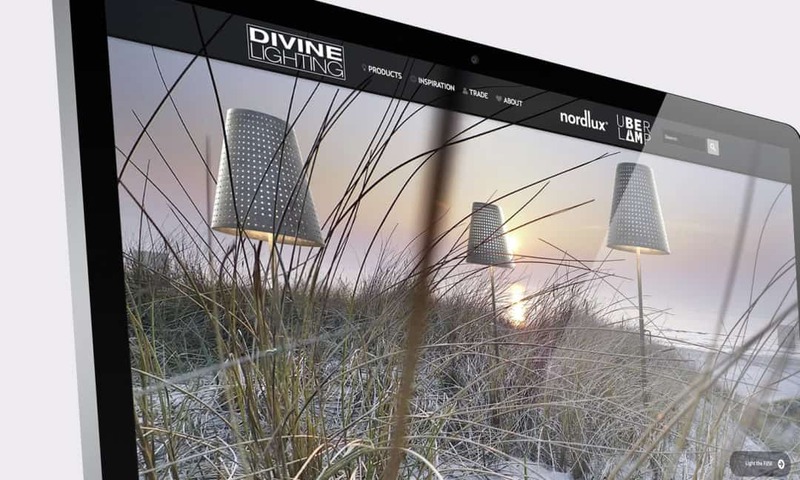 Team Creative was officially commissioned by Divine Lighting, the UK arm of Scandinavia’s largest lighting supplier Nordlux, to design, develop and bring to life the company’s digital marketing strategy. The company had previously engaged with a host of digital agencies but struggled to find one that really understood exactly what they were looking for. The brief was to develop a digital experience with both the end client and Divine’s trade customers in mind, and provide an experience that would create not only new business opportunities but encourage engagement and dialogue between them and their desired audience. Creating a website from a blank canvas can be daunting task for any company so it was imperative that we educated and guided the Divine team every step of the way, from concept through to final creation. 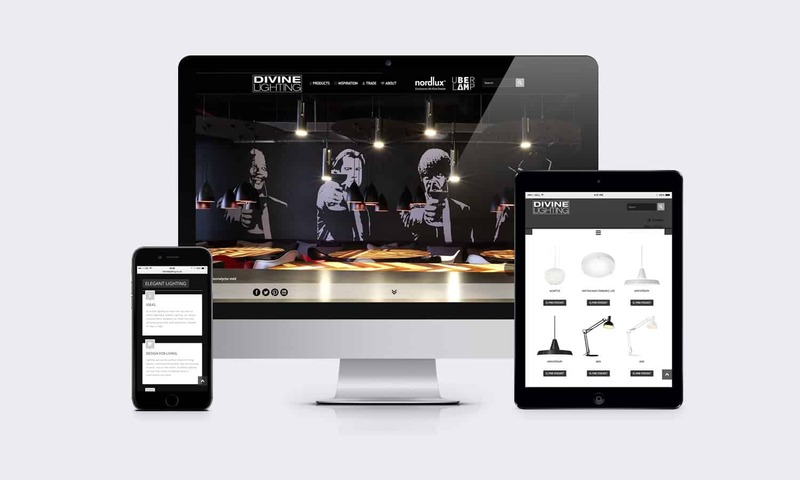 With the brief in mind the team proposed the creation of a new multi-platform e-commence website along with a re-branding exercise of Divine Lighting’s full digital offering. Along with the creation of the new website came a complete overhaul of Divine’s email and social media marketing. 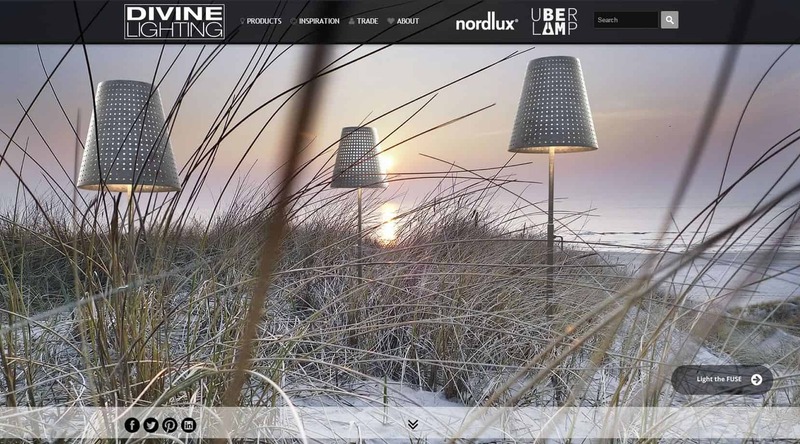 It was important to Divine Lighting to not only endorse their Nordlux association but also reinforce their own brand and service offering. The new website design takes this fully into consideration with the incorporation of a new colour palette, font type and bespoke imagery. The Creativeworld team was able to efficiently ascertain our unique digital needs and put forward a proposal which we were more than happy to work towards. Throughout the whole process they have been an absolute pleasure to work with, all the way through from the initial enquiry stage to the end product which you can see today. Their patience and willingness to listen to our requirements, coupled with their creativity and digital expertise have helped give us the online presence and identity that we desired, resulting in a website that we are proud to call our own.